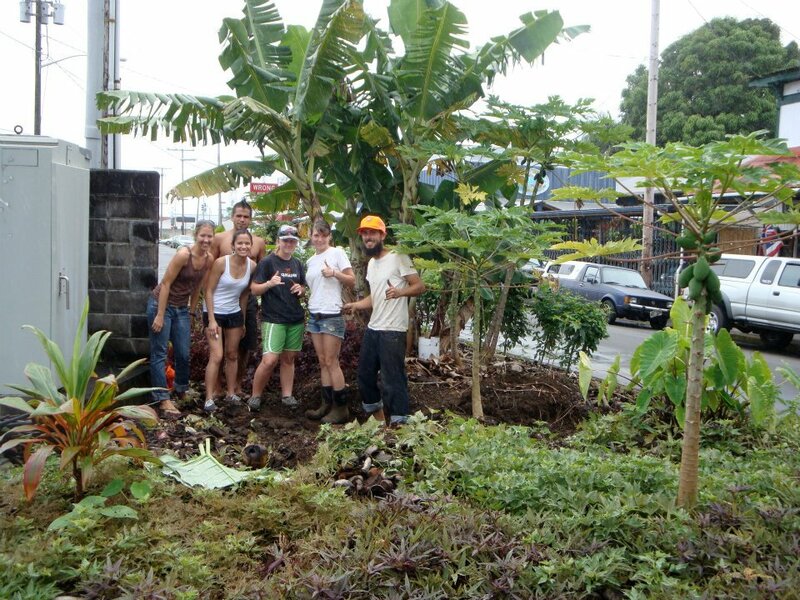 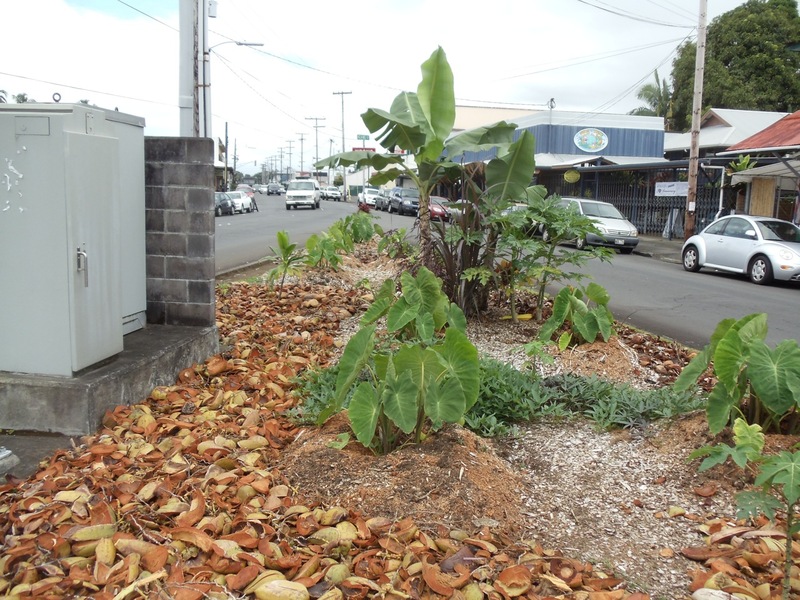 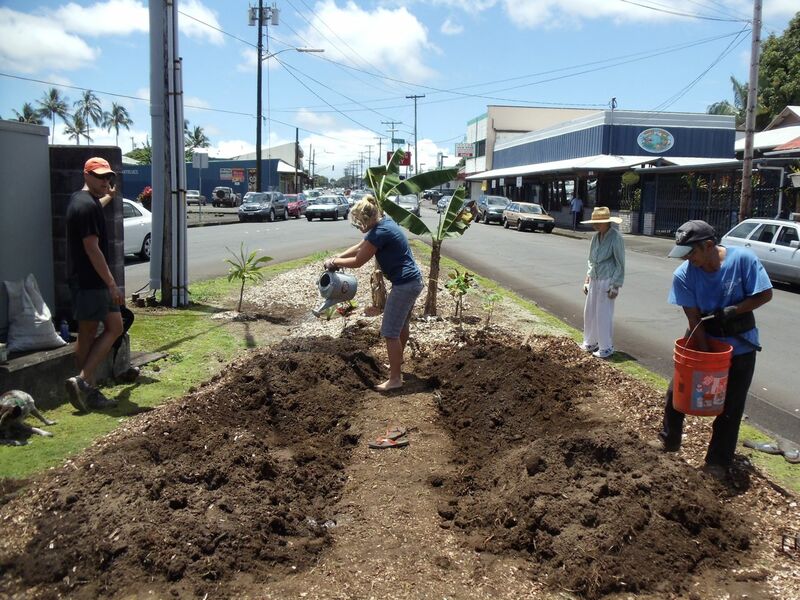 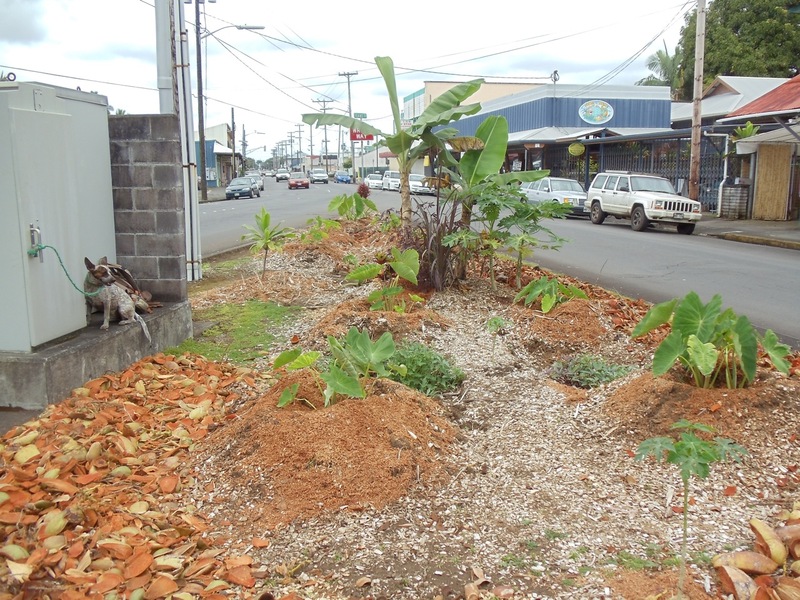 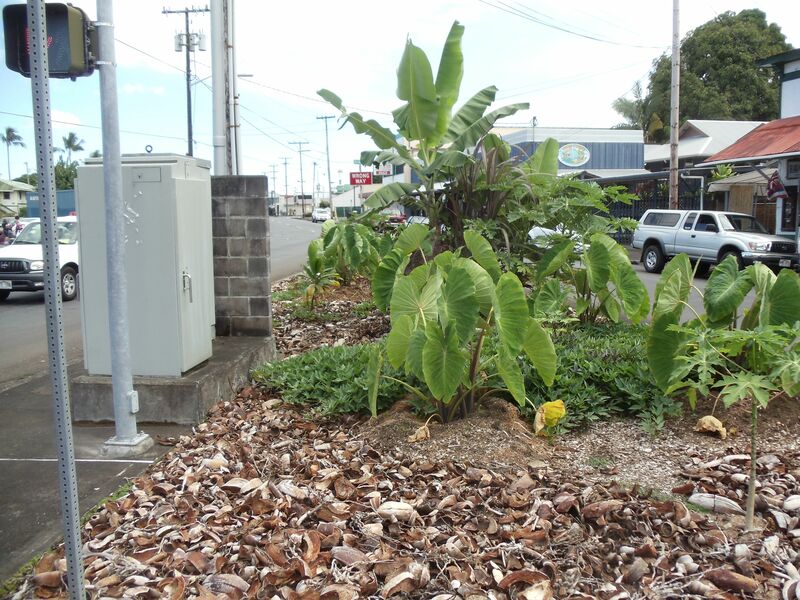 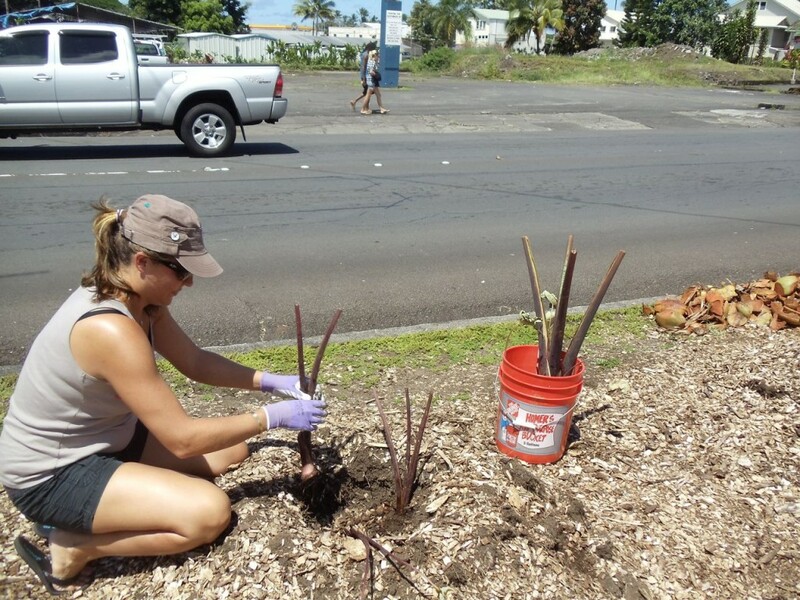 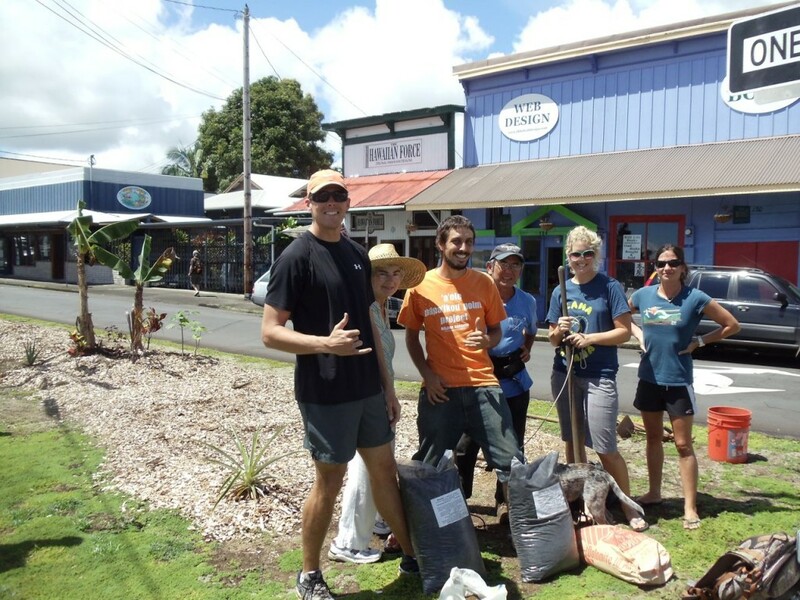 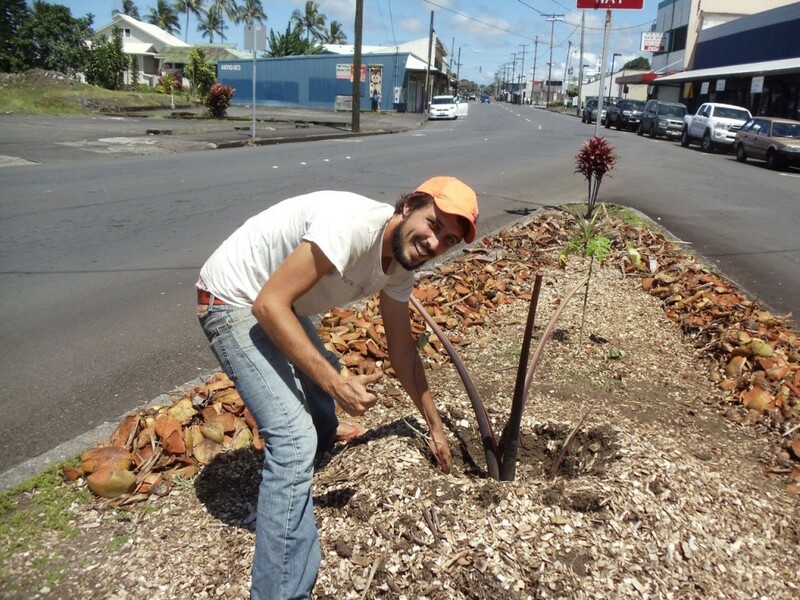 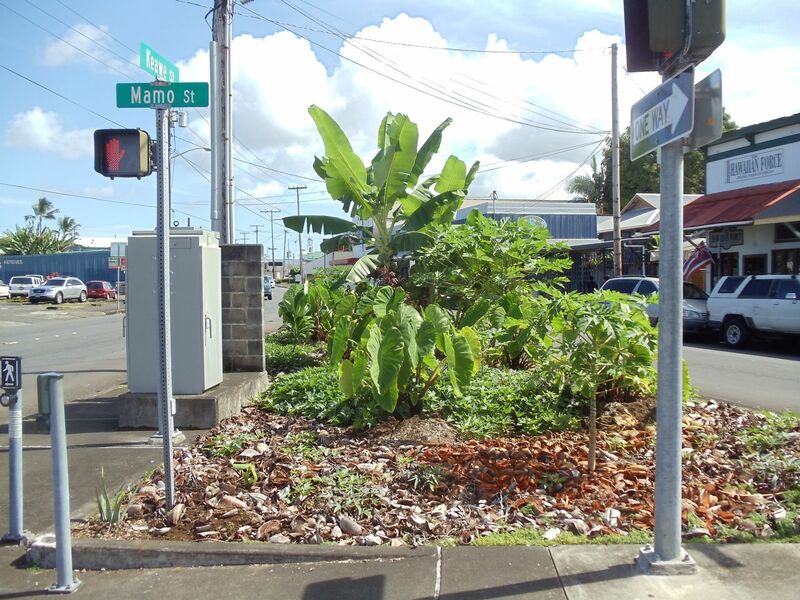 Natural Farming Hawai’i is working with the Hilo Downtown Improvement Association to beautify downtown Hilo with edible landscaping. 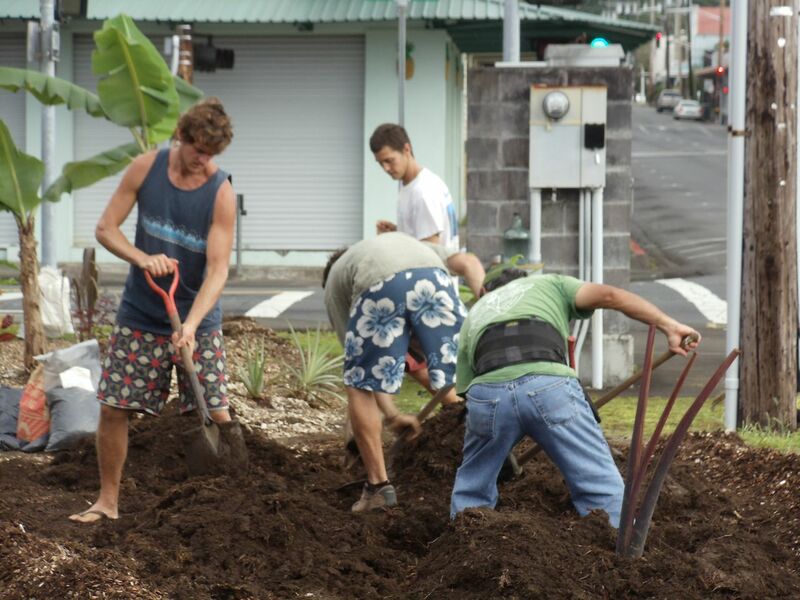 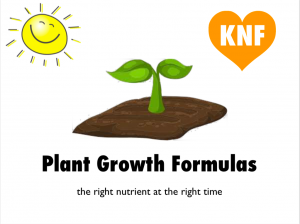 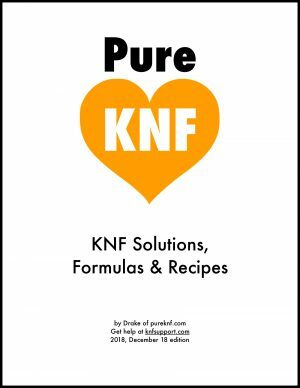 Our first natural farming food site is located between Mamo, Keawe and Kilauea streets in Hilo. 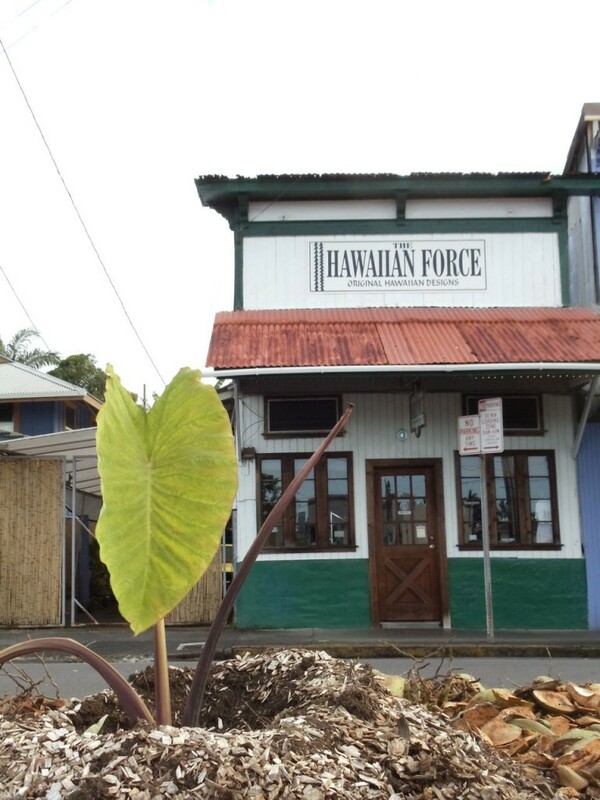 A little time lapse of love. 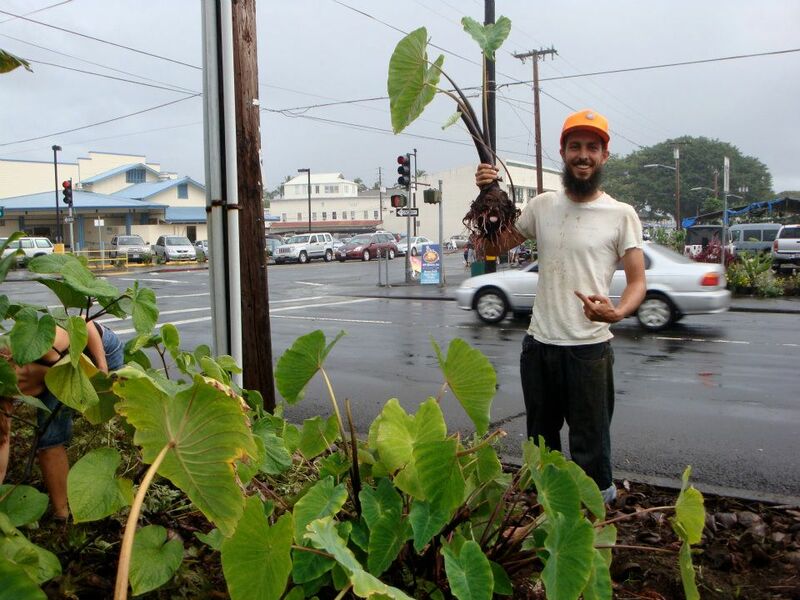 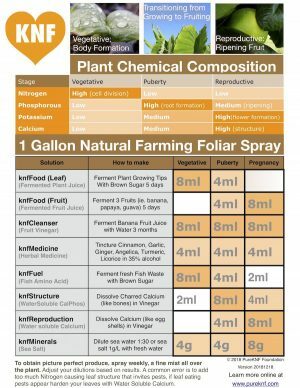 We have been using Natural Farming Methods, and put some inputs donated by Josiah Hunt (http://hawaiibiocharproducts.com/). 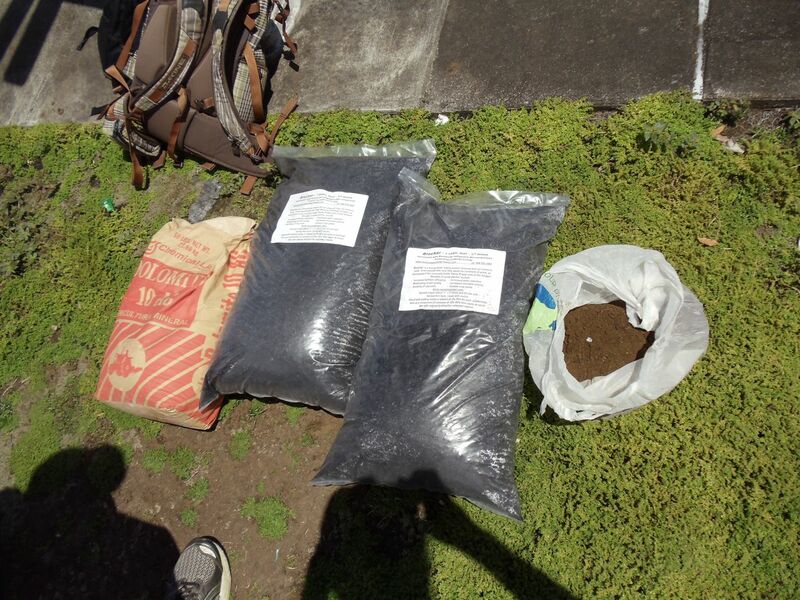 One of the secrets to the Kalo’s success is the BioChar in combination with IMO#4. 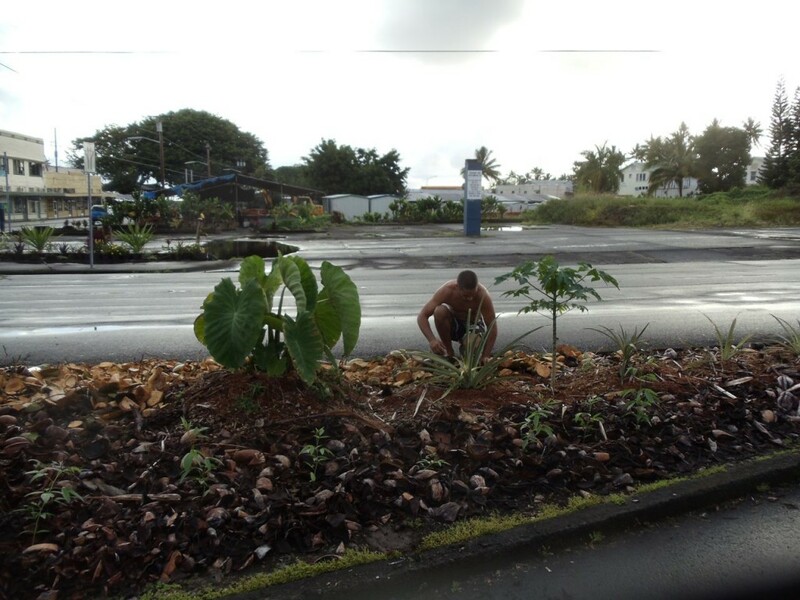 Kapila has been donating hand cut coconut mulch to the project. 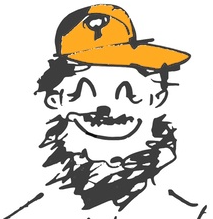 This has really gone a long way. 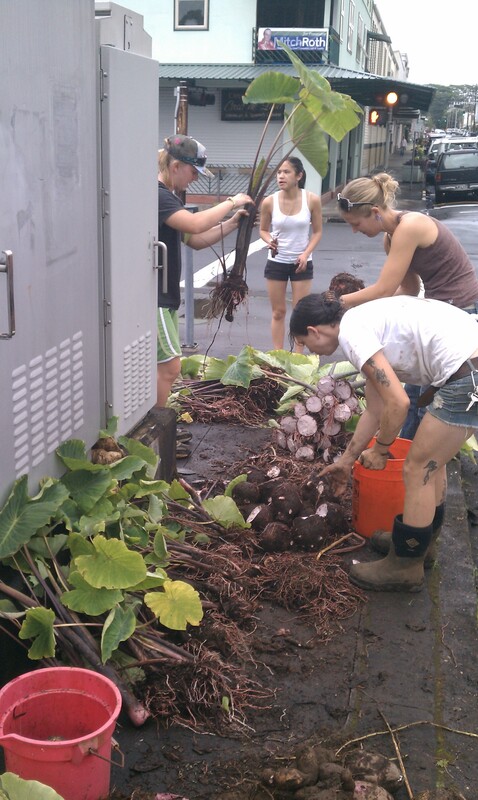 9 full moons after planting, I harvested over 200 lbs of kalo. 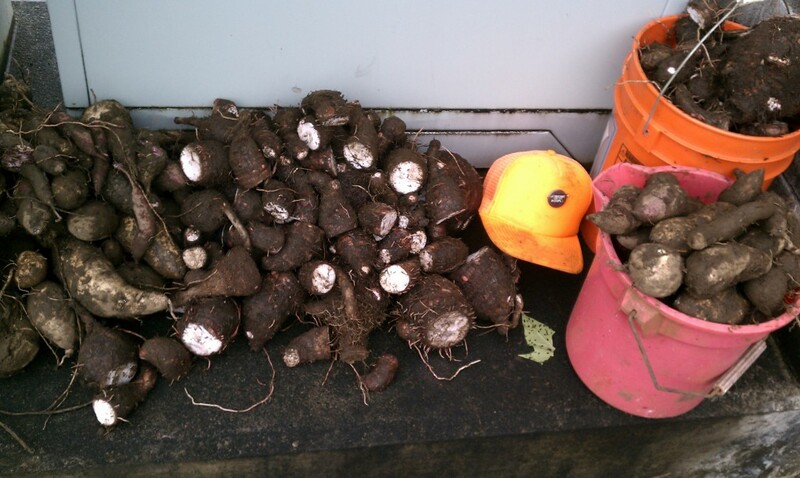 Each mound had 3 huli which were between 5~7lb with several other sizable oha. 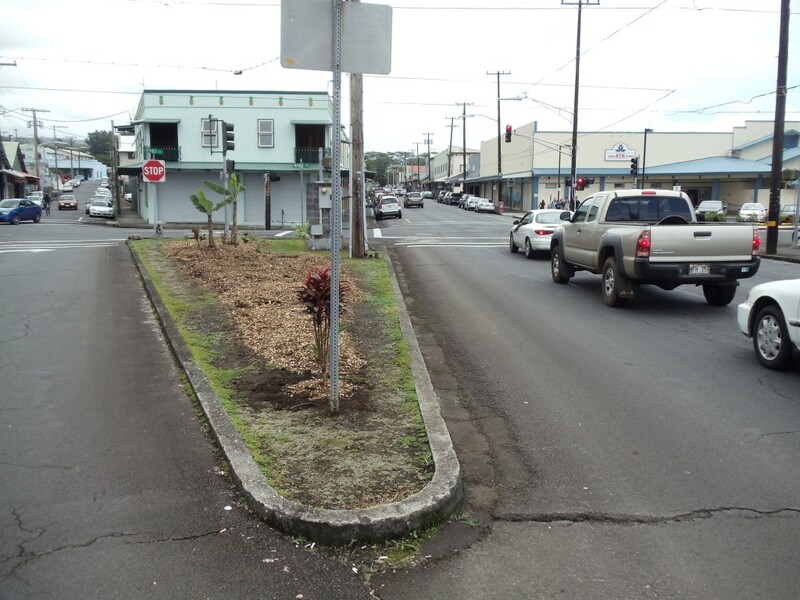 The spacing and the self mounding effect of the craters was perfect for kilauea avenue. 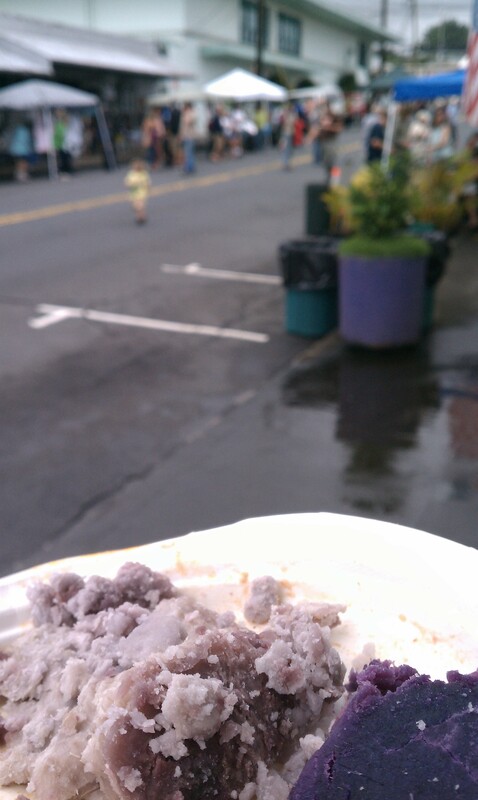 Cafe 100 cooked up the kalo and sweet potatoes and Naung Mai made a delicious curry from local produce all served less than 100 feet from where it was grown, local style.